Composition (also known as Typesetting) is Westchester Publishing Services’ core business. We are dedicated to providing high-quality composition services for publishers using state-of-the-art capabilities in Adobe InDesign, LaTeX, or 3B2 (Arbortext APP), as your publication requires. Our history of providing typesetting services to publishers dates back to 1969. Until the late 1990s, our typesetting was still performed in the U.S.
To remain competitive as the composition industry, in early 2000s we began moving to offshore typesetting. 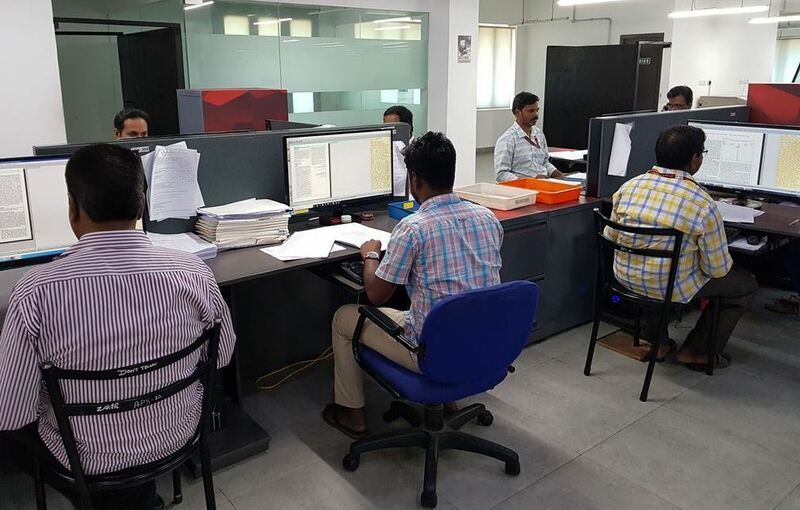 In 2008, we acquired 100% of a top quality Chennai, India-based composition firm, which handles essentially 100% of all Westchester client composition projects – a small percentage of highly sensitive and confidential publications being typeset in a secure room in our Danbury, CT offices. Westchester does not farm out any client typesetting projects – nor do we take in typesetting work from other composition firms. Plus, our India-based composition operation is closely managed on a daily basis by our senior U.S. Director of Operations and Production Terry Colosimo. Our composition expertise ranges from simple monographs to extremely complex reference titles, as well as highly illustrated juvenile titles, 4-color cookbooks, textbooks, professional books, technical manuals, policy group whitepapers and journals for academic and scientific publishing firms.